WellsFargo.com/myoffer - Responding To A Wells Fargo Credit Offer - Deal Biscuit - Eat The Info! This is the most important process in applying for your new Wells Fargo Credit Card. The highlighted yellow space indicates the area where you will be required to provide the 16 digit reservation number which was included with the letter you received. Potential applicants will need to retain their letter so that they have this code available as it is what is used to pull up your application and your specific offer. Once you enter this code, you can click continue where you will be prompted to provide your zip code associated with the address where you received your offer. From there you will be transferred to your application. Once you have completed the rest of the application you can submit your document for review and many times approval is provided within seconds. There are a few additional things to keep in mind when applying for a Wells Fargo Credit Card through their My Offer website. 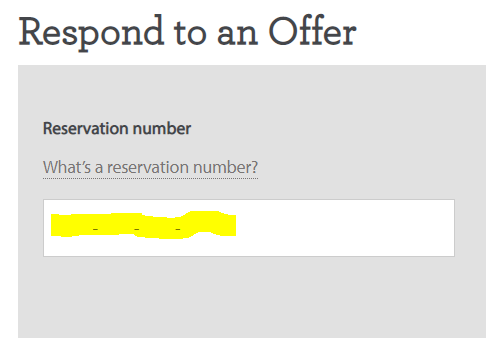 Your reservation code has a required response date which will be indicated in the offer letter you received. After the response date, you reservation code will no longer be active. It is also worth mentioning that if you do not want to apply online you can also do so by phone or by mail using the enclosed application you received with your letter. 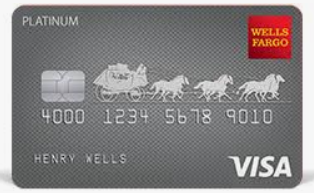 The introductory zero percent rate for the Wells Fargo Platinum card extends for 18 months which makes it a very attractive credit card for situations where consumers are looking to slowly pay off a major purchase during the promotional rate. Once your intro rate is up, you will be assigned an APR based on your credit history so it is important to make every attempt to pay off you existing balance to avoid interest rate but with that said, this card does typically provide a lower APR than many competing credit cards however it is still best to avoid paying interest when at all possible.